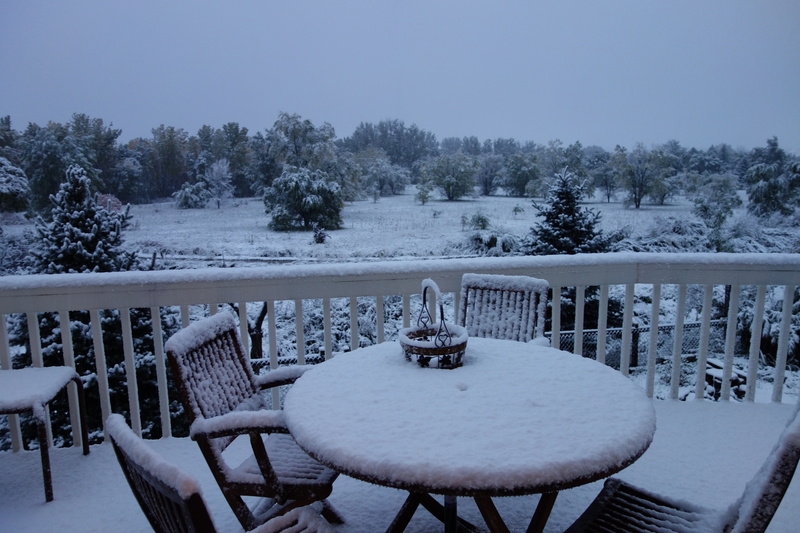 This entry was posted in Uncategorized and tagged Colorado, crazy weather, snow by A French American Life. Bookmark the permalink. Terrible. Not here please. Snow hides the grass and is not wanted. We’re surprised but enjoying it. Hopefully we’ll still enjoy it through the winter – we hear it might be a tough one. 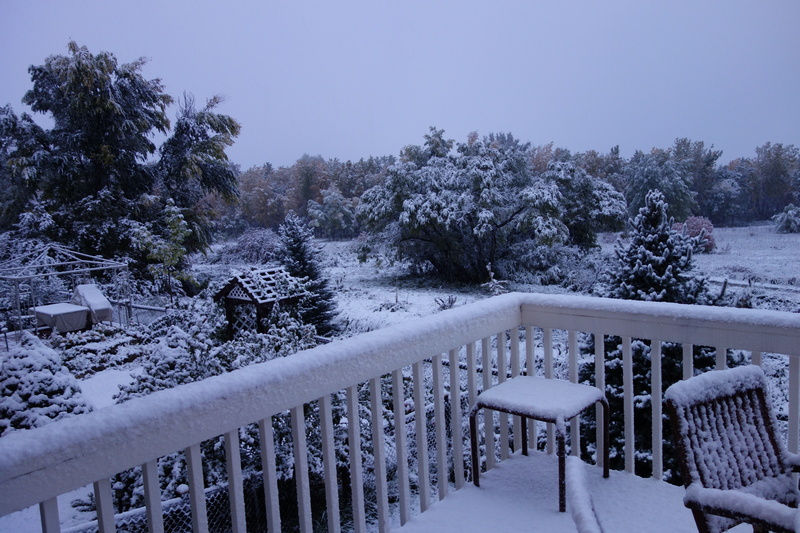 Welcome to Colorado and her crazy weather! Colorado, or the Alps- white Christmases are wonderful things.